Aimed towards our new members, the 24-hour festival does exactly what is says on the tin. Over the space of a day, our members create a short performance about whatever they like, with just the stimulus of a genre and a few props. It's ridiculous and fun and a great way to start off the year. 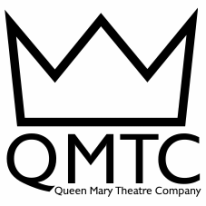 Any QMTC member can pitch a show to the rest of their peers. (Almost) Anything will fly! You can pitch dramas, musicals, dance, puppetry etc. We have a great range of performances for this festival and we know it's going to be something special. It's our annual Pantomime (oh no it isn't)...Oh yes it is! It's the holidays and that means it's time to let loose with some skits, some sketches, some songs and some jazz hands. This show is gonna be a whole lot of cringe and a whole lot of fun. He's behind you! Our big trip / holiday of the year sees us take four original shows to the amazing Edinburgh Fringe Festival! For a fortnight, we perform our shows, hang out as a big group, and have a lot of fun! All of our shows we take are completely new and created and performed by the company. We have a new festival coming up this year that we are very excited about and we would love for you to get involved. Our BAME festival pitch night is approaching and anyone who is Black, Asian or Minority Ethnic is welcome to pitch and non BAME are free to audition. It's the festival you've all been waiting for! New Writers' is here and it's gonna be awesome. Have you written a play or plan to write one over the Winter break? Then this festival is perfect for you. Our New Writers' Festival is a chance to put on any work you've written of any kind in a professional and friendly environment. As the title suggests you can pitch a play from the Shakespearean canon or a play written by one of Shakes' contemporaries. Of course you're also more than welcome to pitch a play related to Shakespeare in some form. It is up to you. The world's your stage, baby! It's time for QMTC's first workshop of the year and it's our directing workshop run by Joseph Winer. If you'd like to brush up your directing skills or have never directed before but you'd love to get into it, then now's your chance. With tips on how to write and deliver your pitch, the workshop will also cover a range of practical exercises for the rehearsal room. Part of the DA Program, this movement workshop is brought to you by our Megan Young who will teach you the tips and tricks you need to incorporate a little bit of movement into your productions. How to use movement and music creatively, how to make up choreography, how to use movement to transition between two scenes, how to make fun of yourself when dancing on stage! Our monthly variety night allows our members to sign up and perform whatever their heart desires. From singing to spoken word, stand-up comedy to performance art, come and show us your wonderful, weird, and wacky stuff! Slappin' Da Bass is for charity, so we ask our audience and performers to donate what they can on the night, and we'll be raising money for a charity (tbc) across the year. Slappin' Da Bass this year is being hosted by the wonderful Ellie Calnan, Rosie Hodgson, Alice Wilson and Huw Landauer.